Share your experience with fellow travlers! 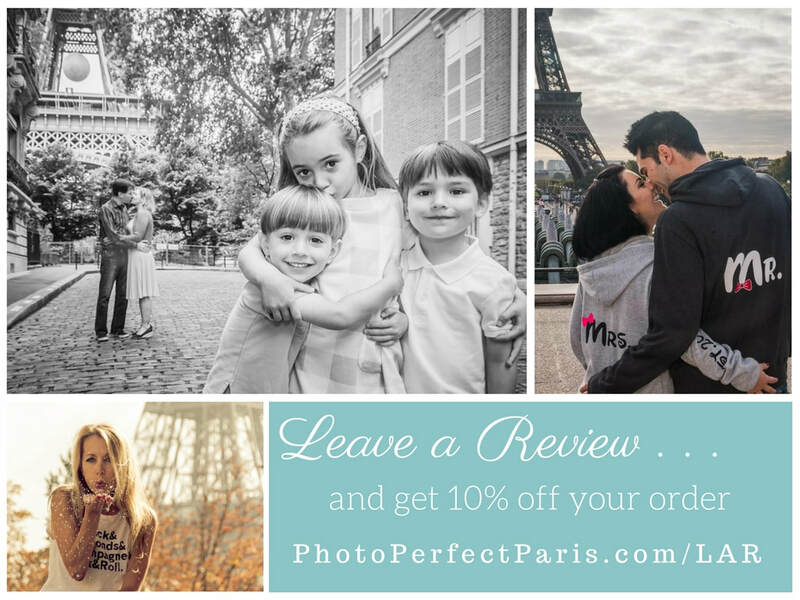 I want to take a moment to thank-you for choosing Photo Pefect Paris to capture your time in Paris. I love what I do deeply and it brings me much joy to be able to share that passion with people like you. Please take a moment and tell others about your experience and leave a few words on Trip Advisor, Yelp or Google about working with me and what you thought of the images. By doing so you will be helping to support an artist, a small business and other travelers like yourself . As a thank-you for taking the time to leave a comment I'd like to offer you 10% off of your order. To redeem, simply send us an email once your review has been posted and we'll send you a discount code. Leave a Review on . . .